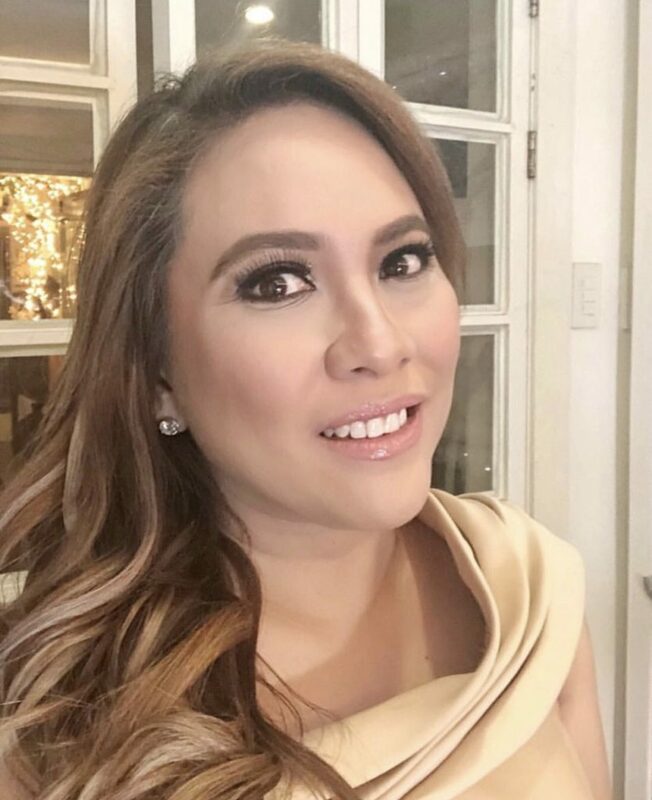 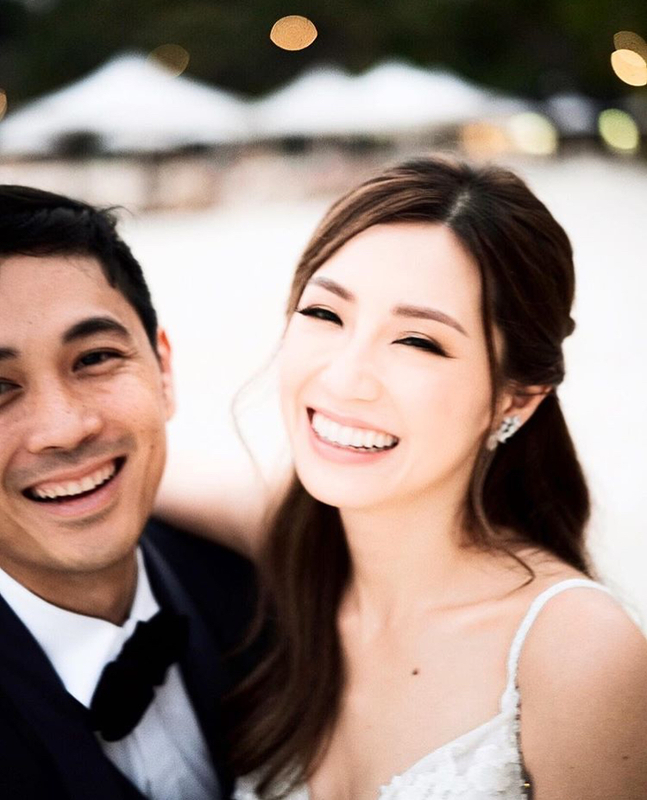 She’s known as a content creator, author and one of the Blogger Besties and he’s best known as a television personality and, of course, for being the Big Winner of Pinoy Big Brother (though now quite the successful entrepreneur, CEO of his company Liteblock). 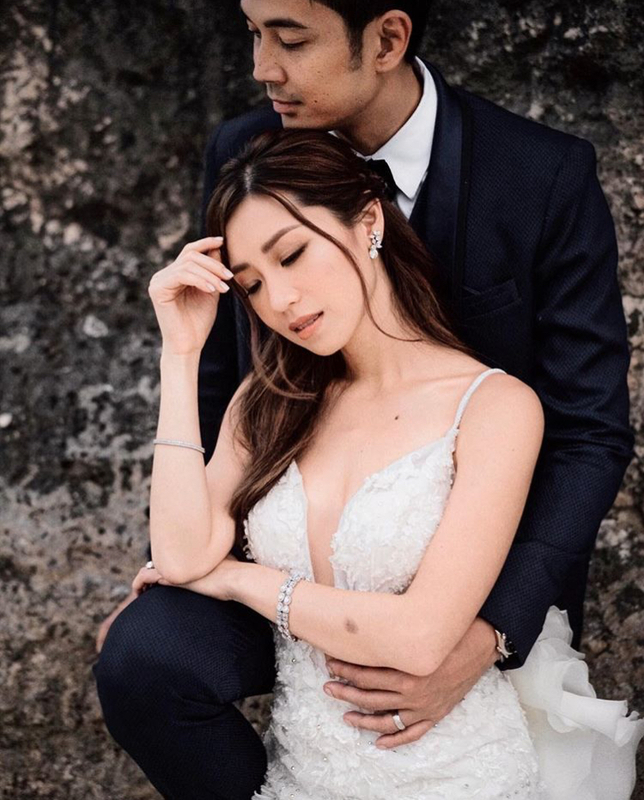 Both from Cebu, this couple told tales of an unlikely pairing, neither caring for each other when they first met as “friends.” As time on went on, their attraction to one another grew and blossomed into the romantic love story that plays out now on Instagram for millions of people to see. 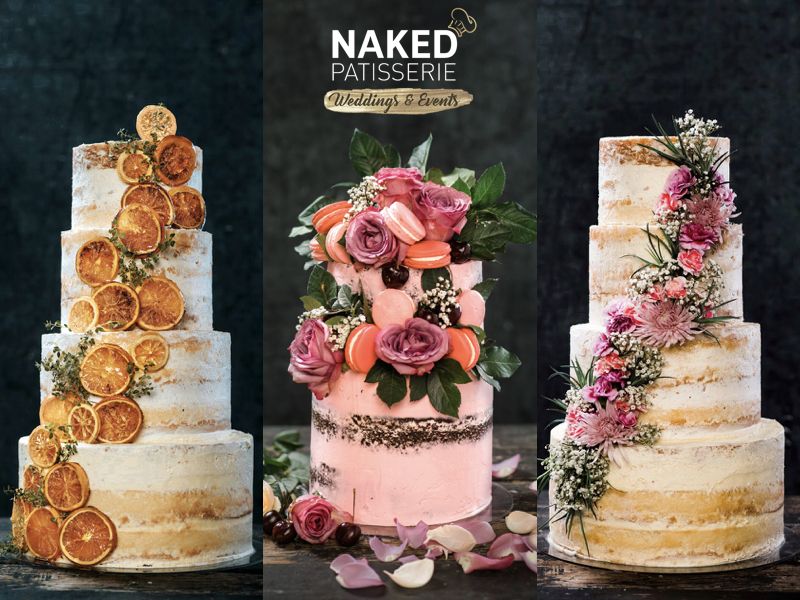 The Naked Patisserie Team first met Kryz and Slater in early 2018 when they flew to Manila for their cake tasting. 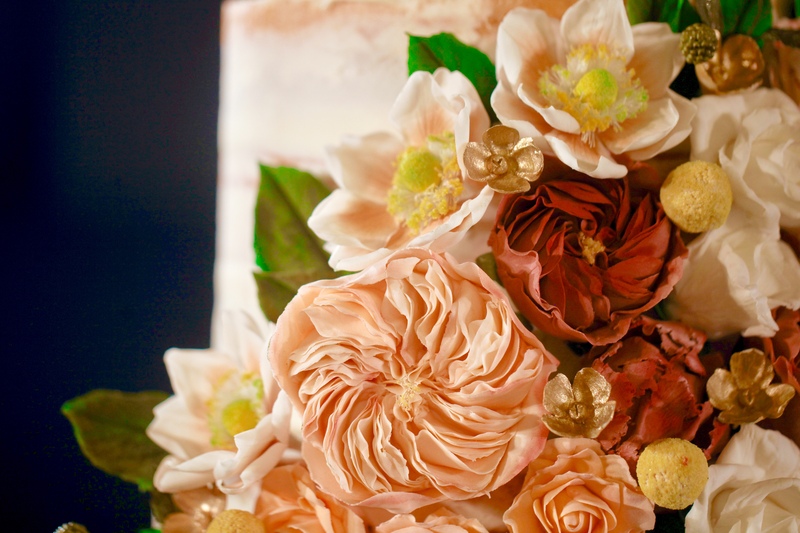 “I’m so impressed I didn’t realize so much thought went into making wedding cakes,” Kryz said on her YouTube Channel. 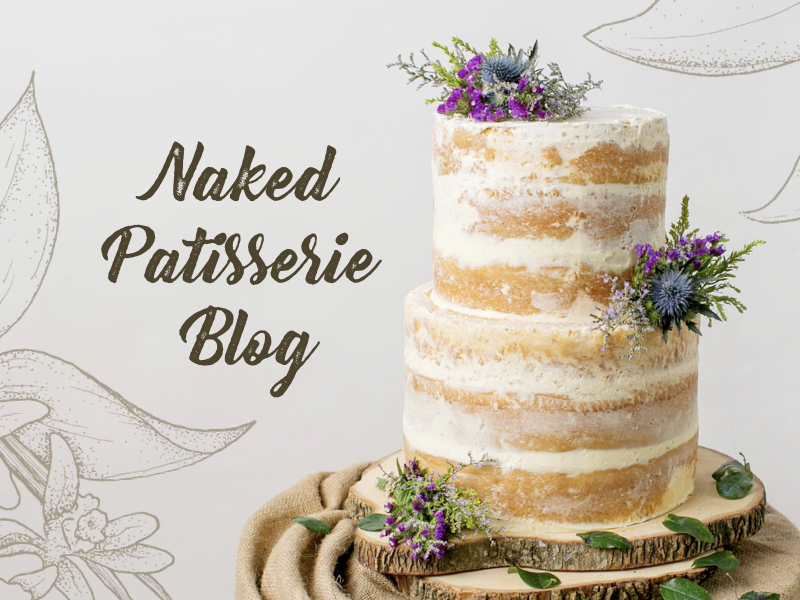 Insider info- there was a bit of back and forth over the cake flavor but Kryz was set on the lemon flavor (Naked Patisserie’s bestseller for wedding cakes). 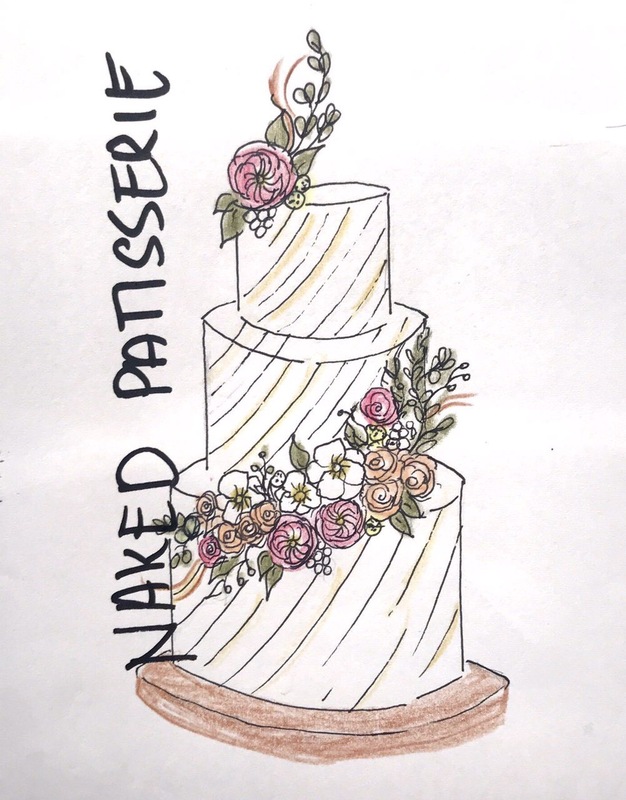 “Happy wife, happy life,” I advised Slater and they proceeded to order a 3-tier Naked cake which our designer sketched on the spot for them. 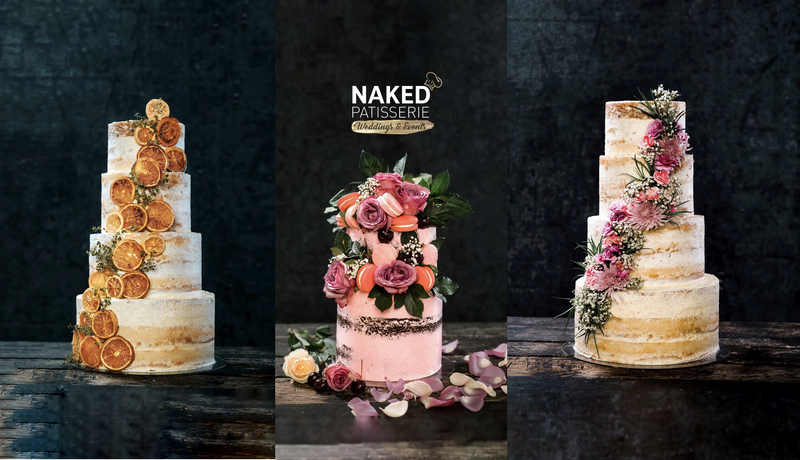 The morning before the wedding, the Naked Patisserie Team flew to Cebu with 6 large boxes filled with cake tiers and sugar flowers. 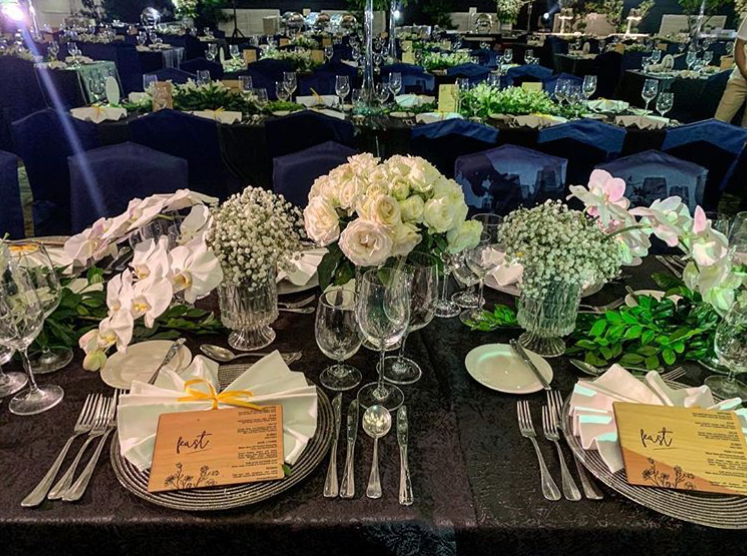 I was impressed upon arrival as they had a van waiting for us and an employee from Shangri-La Mactan to greet us and brief us on the upcoming itinerary. 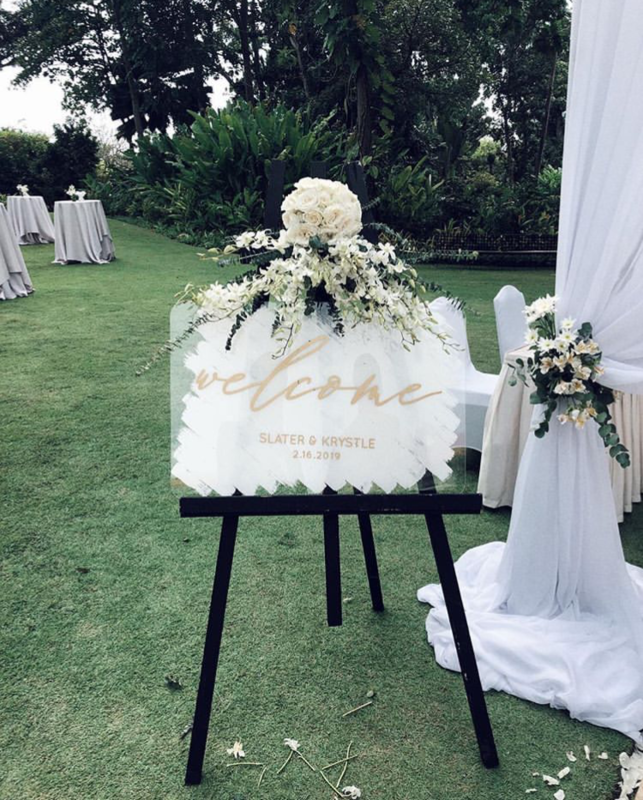 One thing I have to say Is that Kryz and Slater take great care of their suppliers! 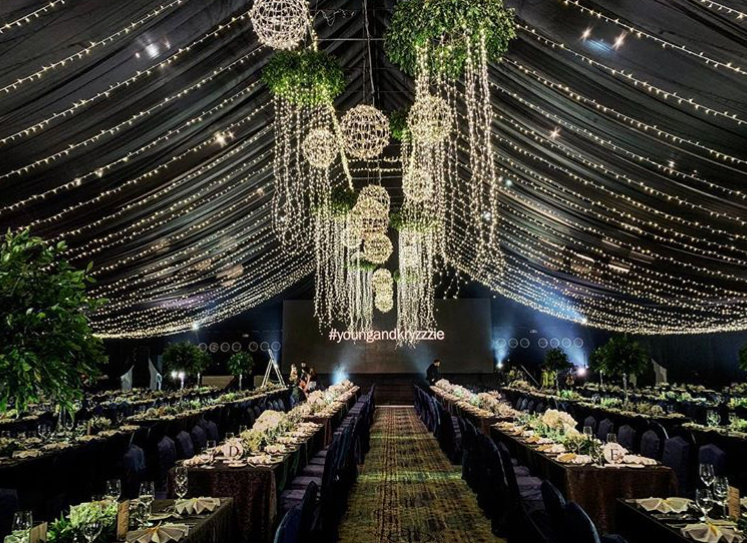 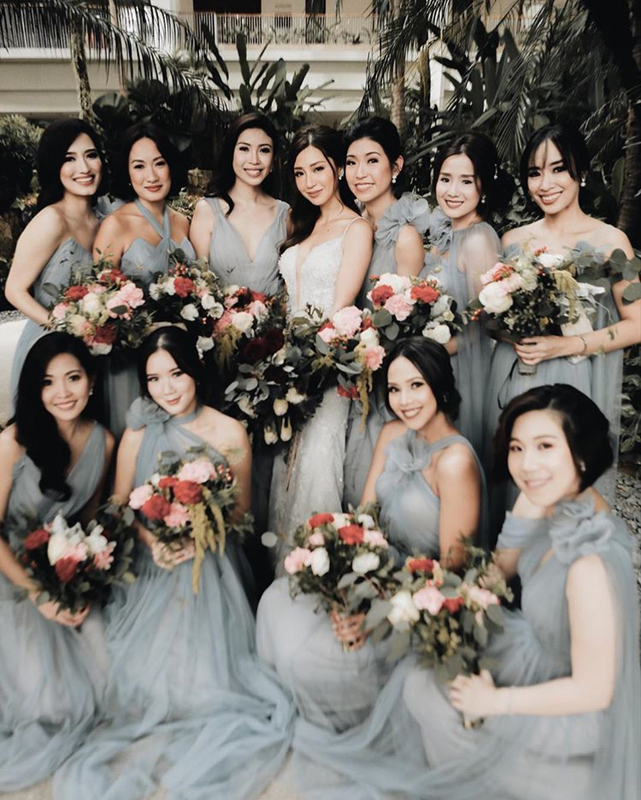 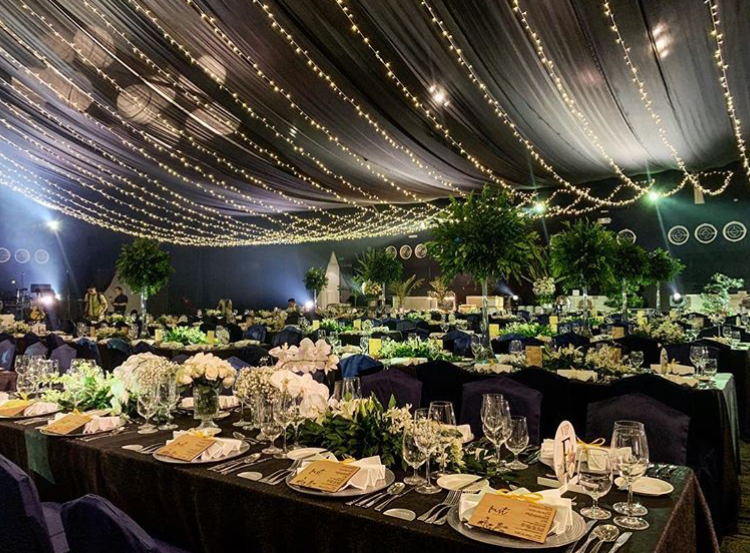 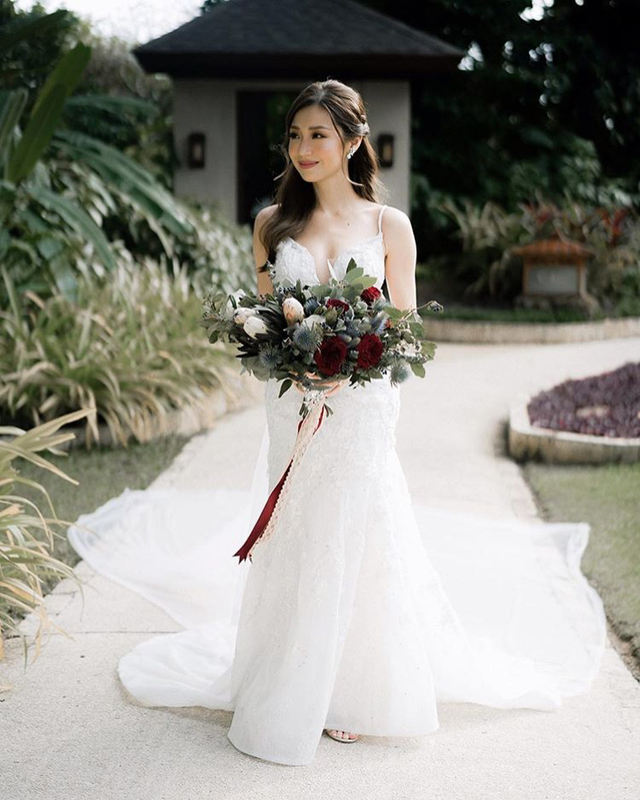 To add to the sweet experience, we got to work with Snoogie Reynes-Mata, one of Cebu’s most reputable and well-established wedding planners. 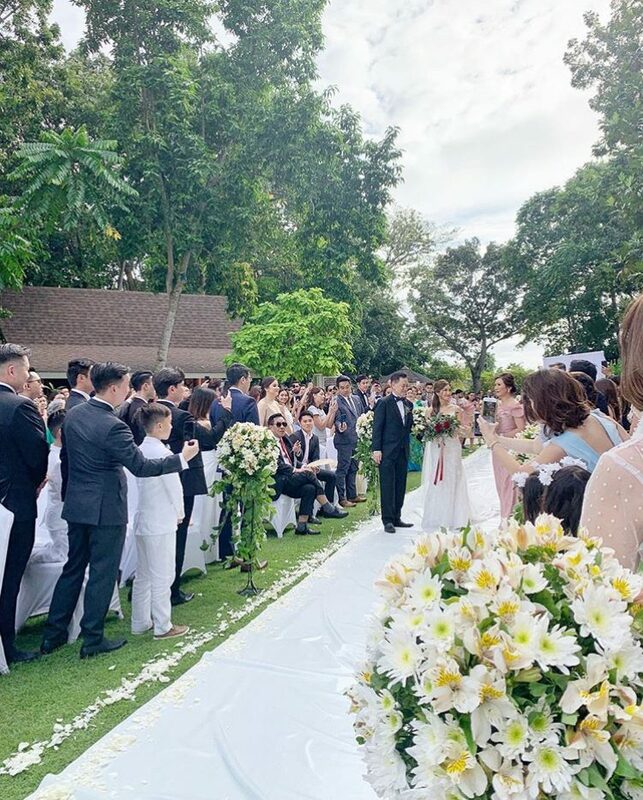 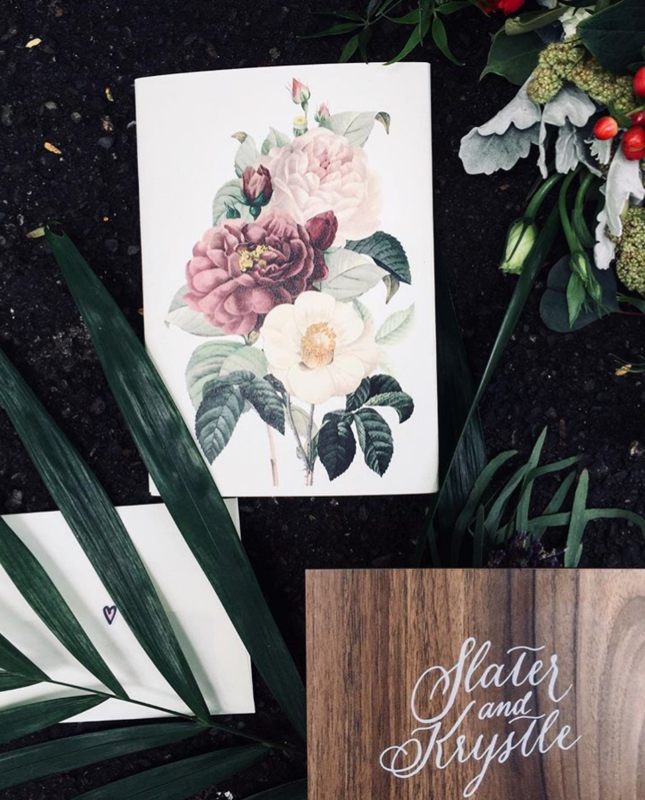 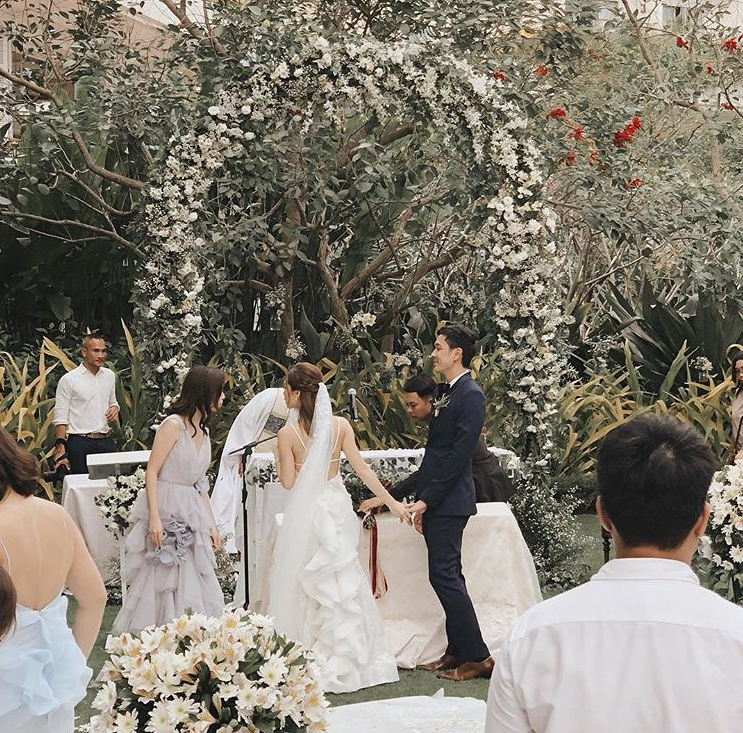 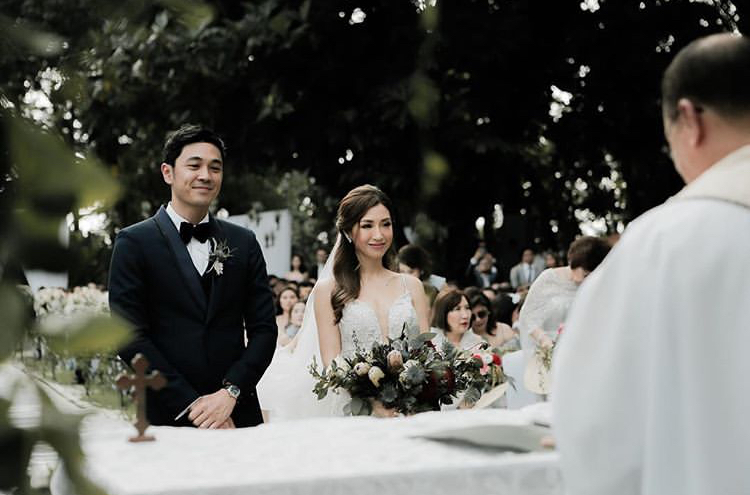 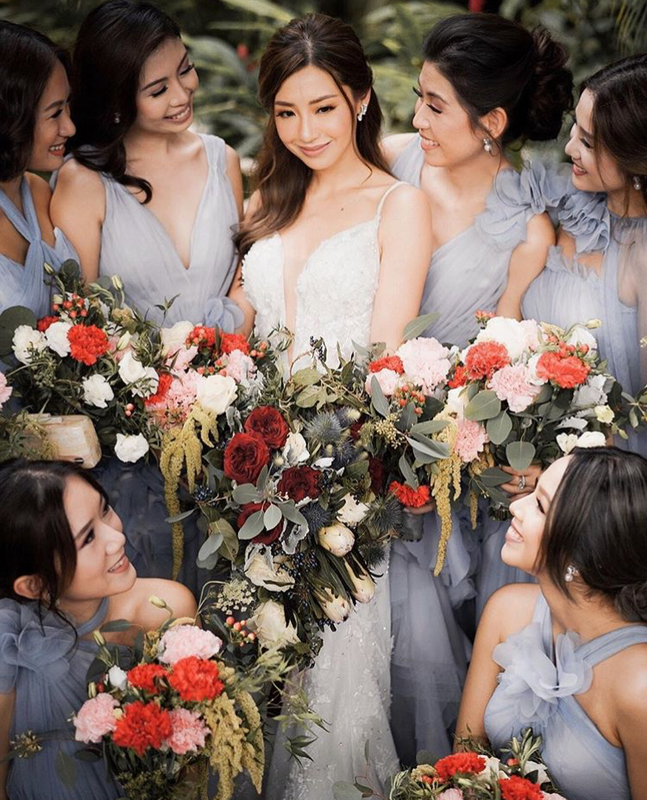 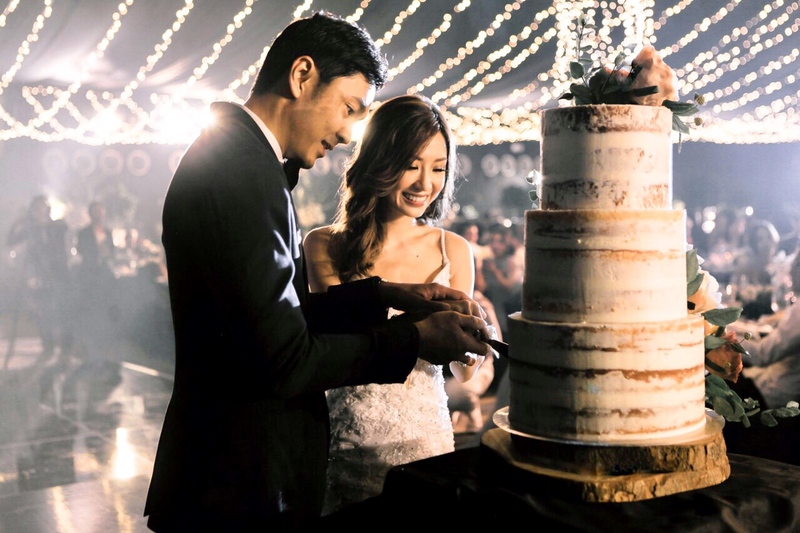 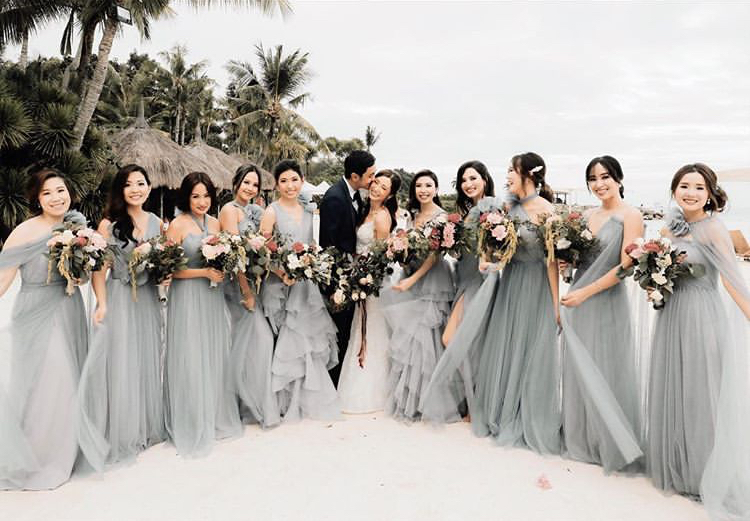 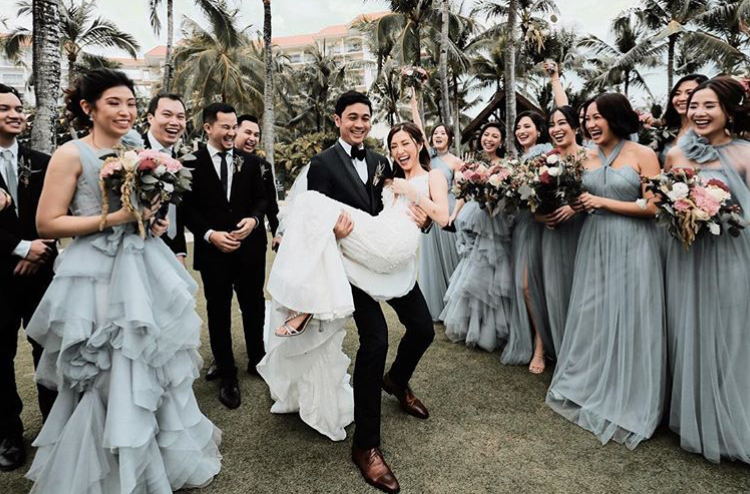 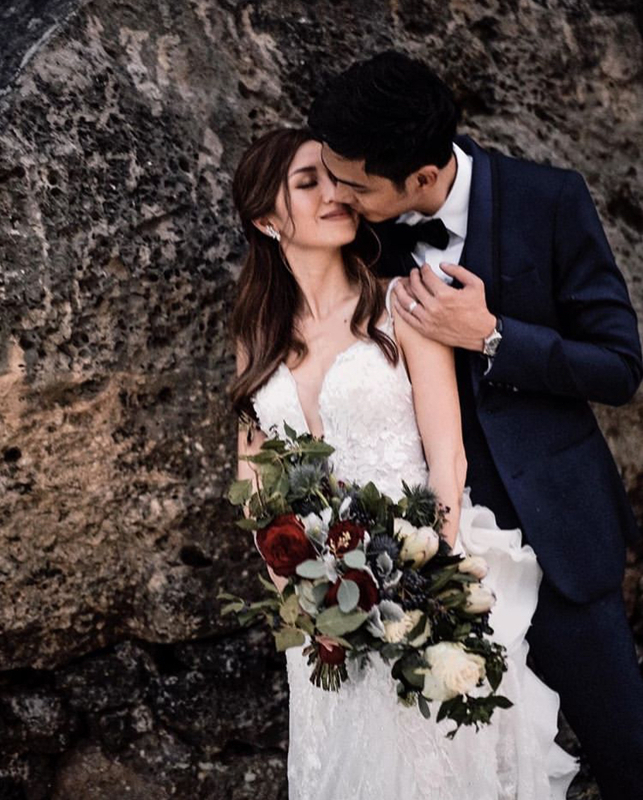 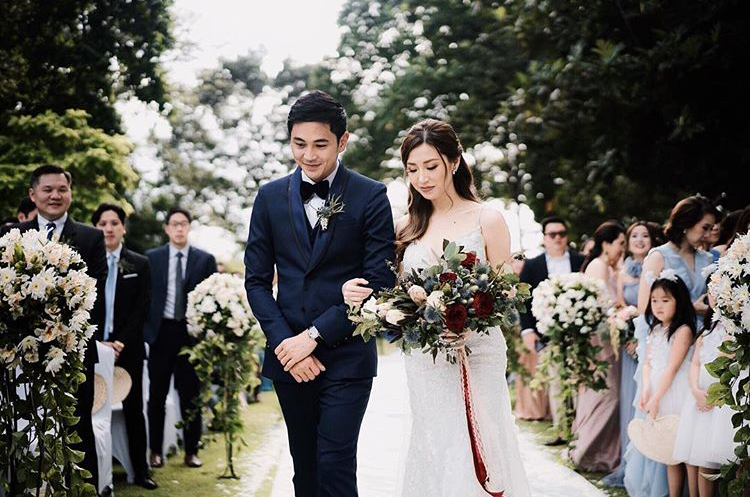 The couple made their grand entrance to the reception venue and cut the cake immediately, with a smile as big as the sunrise painted on Kryz and Slater’s faces. 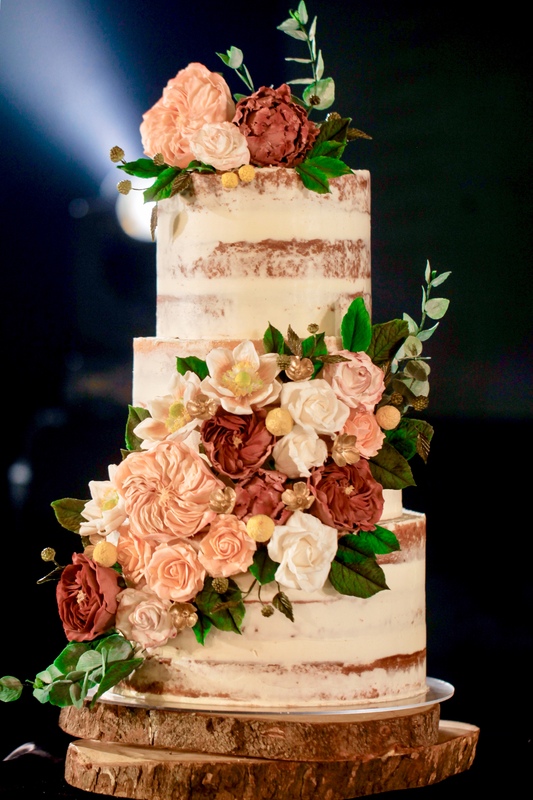 The couple’s Naked Patisserie cake was a 3-tier edible lemon cake towering 27” high with hand-crafted sugar flowers including Burgundy and peach David Austin Roses, Blush Roses, Eucalyptus, Anemone, and Peonies. 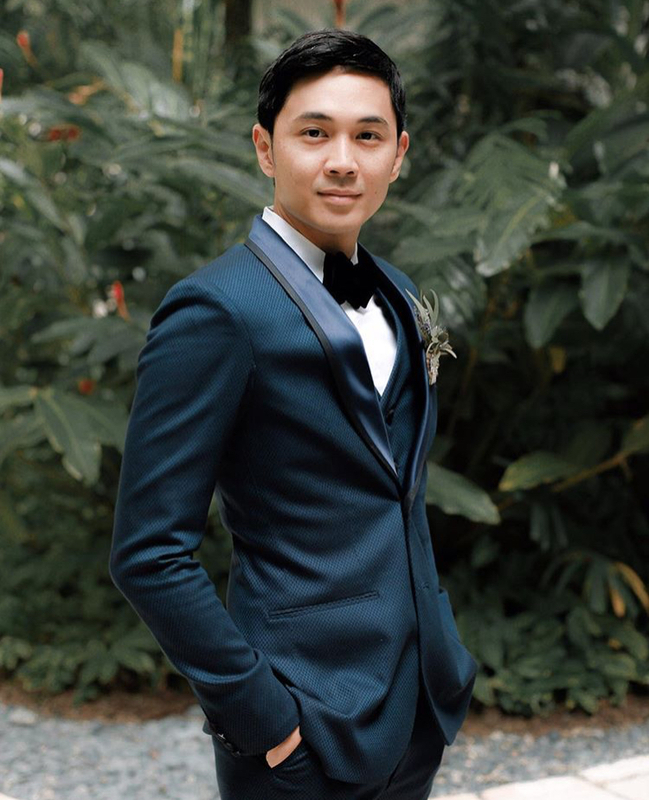 Thanks to Kryz and Slater for the trust and especially to Snoogie Reynes-Mata for all of your support.